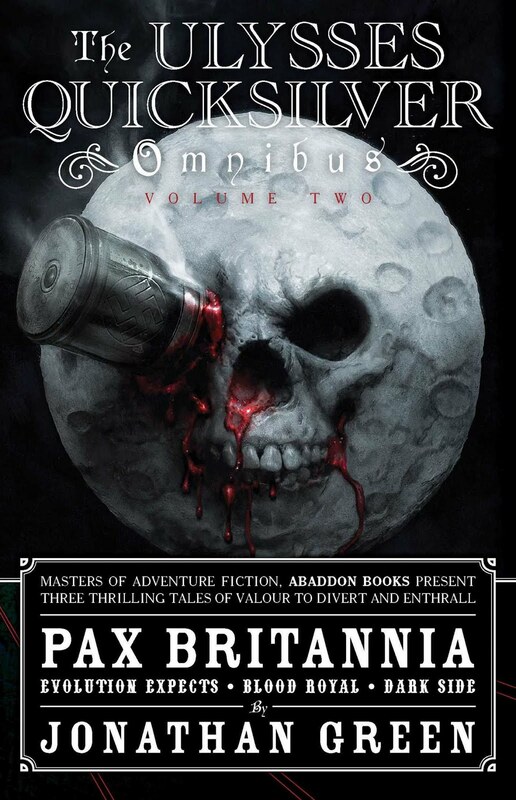 PAX BRITANNIA: The Ulysses Quicksilver Omnibus - Vol. 2... OUT TODAY! The Ulysses Quicksilver Omnibus - Vol. 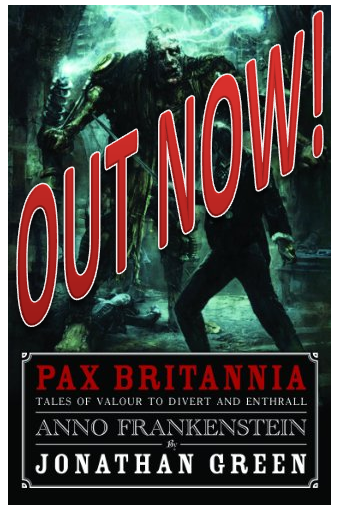 2... OUT TODAY! 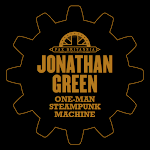 I love the smell of Steampunk in the morning! That's right, today is new book day - again! 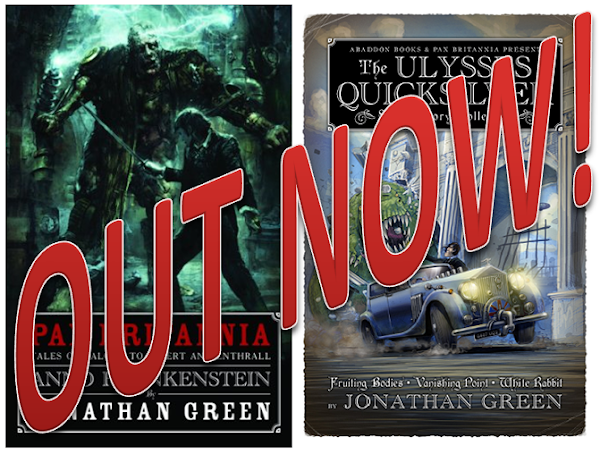 I've actually got three books out this week, and they're all Steampunk-related - Alice's Nightmare in Wonderland the gamebook, the Alice's Nightmare in Wonderland Colouring Book, and today's release from Abaddon Books, The Ulysses Quicksilver Omnibus Volume 2! 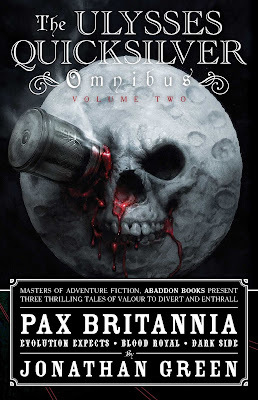 In his ongoing adventures in the services of the Empire, Ulysses Quicksilver - hero and dandy - is increasingly confronted with the darkness at the heart of Britannia. Evolution Expects: After more than 150 years as the supreme power on the planet, the British Empire has become stagnant and corrupt. 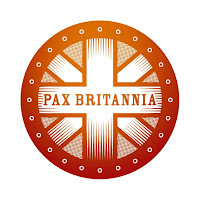 The new Prime Minister, Devlin Valentine, promises change, but there are those who lack the patience for politics. With a dangerous vigilante stalking the streets, a monster on the loose in the East End and rival gangs fighting for control, there may be nothing Ulysses - trapped in the notorious Bedlam Hospital - can do to prevent a catastrophic metamorphosis! Blood Royal: With the city, and the Empire, reeling from the transformations of a month before, a twisted new religion rises from the devastation. In the meantime, in Europe, the spectre of war rears its ugly head; and rumours hint at monsters, things of myth, on both sides. Ulysses Quicksilver, fighting for peace and for reason - for civilisation itself - follows a path that leads him from the shattered streets of London to the icy wastes at the heart of a dark and bloody empire. 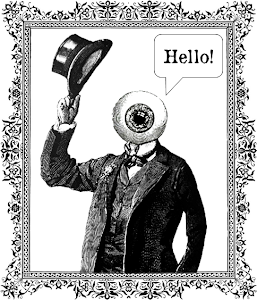 Order your copy of The Ulysses Quicksilver Omnibus Volume 2 today!